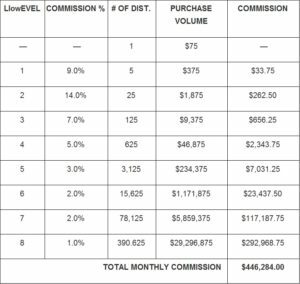 How You Make Money – NouvelleHEALTH, Inc.
MLM commissions are the same as other commission sales programs where you are paid a percentage on sales made by your network organization. The basic principle in making money is to either sell product at a higher price than purchased (profit) or to earn commissions off sales from your downline—or both! The NouvelleHEALTH profit plan introduces a trend setting method of compensating our Distributors. We designed it to earn Distributors immediate income in order to reward Distributors for their initial efforts encouraging them to grow their business and remain long term members of the Nouvelle family. We think you’ll find our compensation plan fair, fun, easy, and extremely profitable. For more information regarding compensation hover you curser over the “Distributor information then click on “Compensation Plan” from the drop down listing. Being a Nouvelle Distributor, you have the option to build any size of organization that you want – as big or small as you want. You will be the leader of a local sales organization that promotes the benefits of NouvelleHEALTH products and our business opportunity. Just like all sales organizations, you gain a commission on the productivity of your team. The difference is that each of your team members can build their own team and you make a commission on each of their teams sales, and next down-line team’s sales – up to eight (8) levels deep. And this doesn’t include your personal sales profits or online retail sales from your personal web-site! We recognize that not all of our Distributors are interested in building teams. Many of our Distributors have come to recognize the great benefits of our products and merely want to sell them to their patients, customers, friends and family.